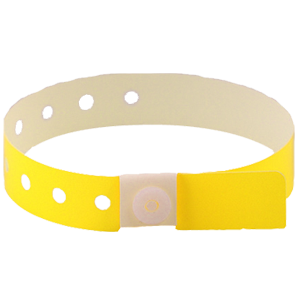 New Premium Vinyl Wristband Design offers the custom look and feel without the additional cost and lengthy production times. Vinyl are soft and relaxed on the skin. High quality vinyl bands are comfortable, water proof and durable for extended wear. These are available in a wide collection of different colors. Secure the pattern in a modern matt finish or high shine in neon colors. Durable Vinyl Stretch Resistant Material. Unprinted and Printed are available. Perfect for managing V.I.P areas. Made from Soft Vinyl Tri-Laminate. Slim and stylish design, visually attractive.